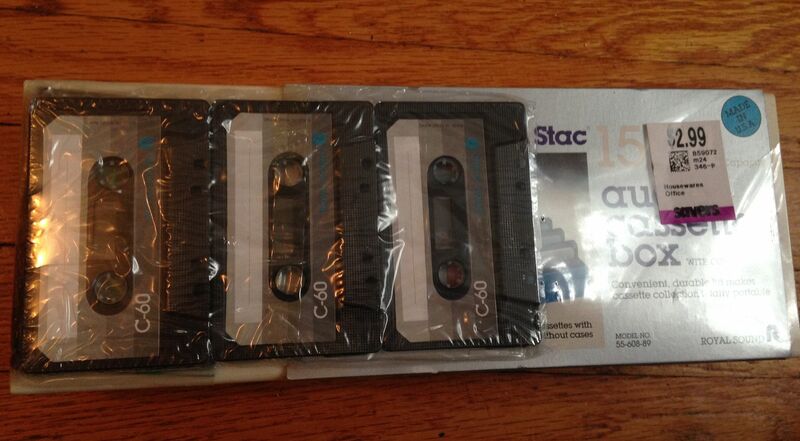 When I first saw this at Savers, I thought that the three blank cassettes were attached to it by Savers themselves and I didn't realize that it was actually still sealed from its original release back in 1986. 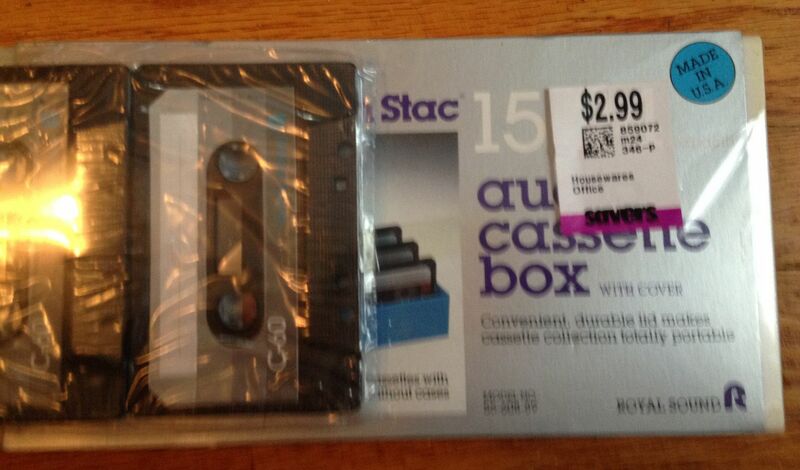 It caught my eye as well because, even though I'd pay the $3 for the three blanks themselves, it says it can hold 15 cassettes in cases and 24 without cases. 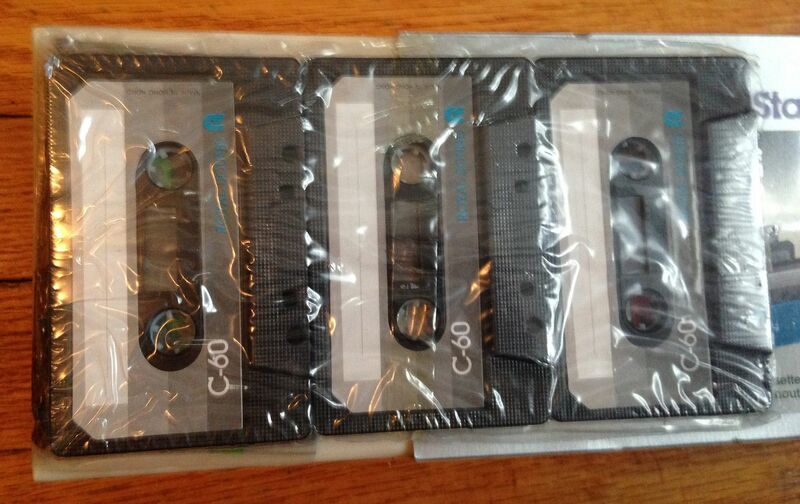 I particularly enjoy the picture on here of the cassettes being placed in both with and without cases. If I was a musician- which I am not- or even a label (again, I'm not) I'd use this box, since it's white, to release a special 24 cassette set, which wouldn't have cases obviously, and then you could just put whatever you want for art on the case as you could paint it or even if you were a label and wanted to make a special box set of your first 24 releases for one low price you could cover it in stickers. Which, to be fair, I might end up covering it in stickers. Even though I found this item at Savers (and purchased a grab bag with blanks and microcassettes in it on the same day), I went to more than one Savers on this day and came home with something like eight cassettes as well (mostly in that rock era) and so I put them in there right away and will likely keep this box to fill with such things in the future. However, it is worth noting that when in cases this can hold 15 cassettes and the Vlimmer EP series is to eventually be of 15, so they all might end up in here at one point as well. I'm never quite sure how to organize my cassettes, but this certainly helps and finds like these always seem to make me so happy.